Linux is a modern Operating System and it has millions of fans out there. There are many Linux variants ranging from the big name such as Debian, Ubuntu, Fedora and also there are hundreds of derivatives. There is an easy way to try Linux before you actually decide to install it permanently. But How? Not like Windows or Mac, Linux can be run from a USB flash disk. We called this as Linux Live USB. When we run Linux in Live mode, there is no reason for Linux system to access and mess up your disks and data. Unless you do it. Linux Live USB is the safest way to try Linux on existing machine. If you are Windows users you will need third party tool to create Linux Live USB. There is software that can be used to create Linux Live USB. Personally, I love Etcher to do this job. 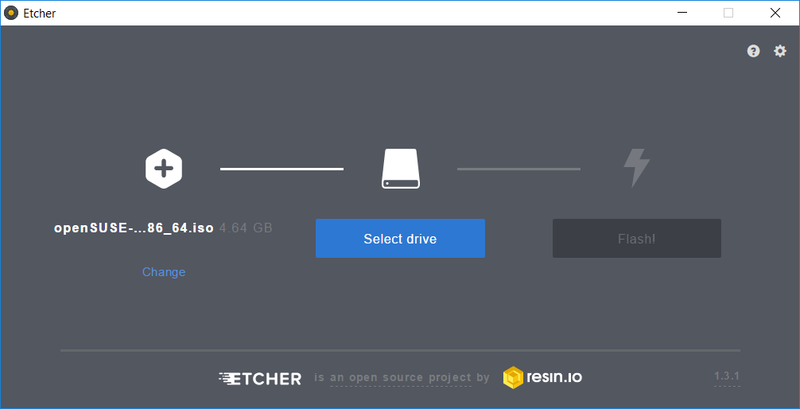 Etcher has become my favorite application to create Linux Live USB on Windows machine. Etcher supports almost any Linux distribution and I’ve never failed when using this great tool. It is very simple and with three simple steps, you can create Live USB. All you need is a USB flash disk and Linux ISO. Browse your ISO file and it will be loaded to Etcher. Now carefully select your USB Drive. Click Flash to start the process. In few minutes your Live USB is ready for use. Don’t forget to change the boot order so your computer will boot from the USB drive first.